One of my goals with this blog was to not only share with you how I built my own brands, but to also guide you in building your own. People often get stuck even before they begin because they lack the tools and confidence to take action. Don’t be scared. We’re in this together. This is where the Brand, Build & Launch Challenge comes in. I have a great idea for a new brand that I want to launch. I will show you step by step what I’m doing before I open my new online shop. I will break down each step and dissect what tools or methods I use to complete each task. Weekly I will post about my accomplishments and failures. We will keep each other motivated. We’ll be virtual accountability partners. Just a few notes before I begin. Initially, I will NOT be sharing the name of the eCommerce site I’ll be building. The name of the site will be revealed at the end of the challenge. During the challenge, I’ll be only showing screenshots of stats. Anyone that sells tangible products online. People that are interested in learning how to market a product before launching. If you need help growing an audience for your product. Individuals who understand basic concepts like purchasing a domain and hosting. People who know how to navigate online services like Gmail and social media platforms. 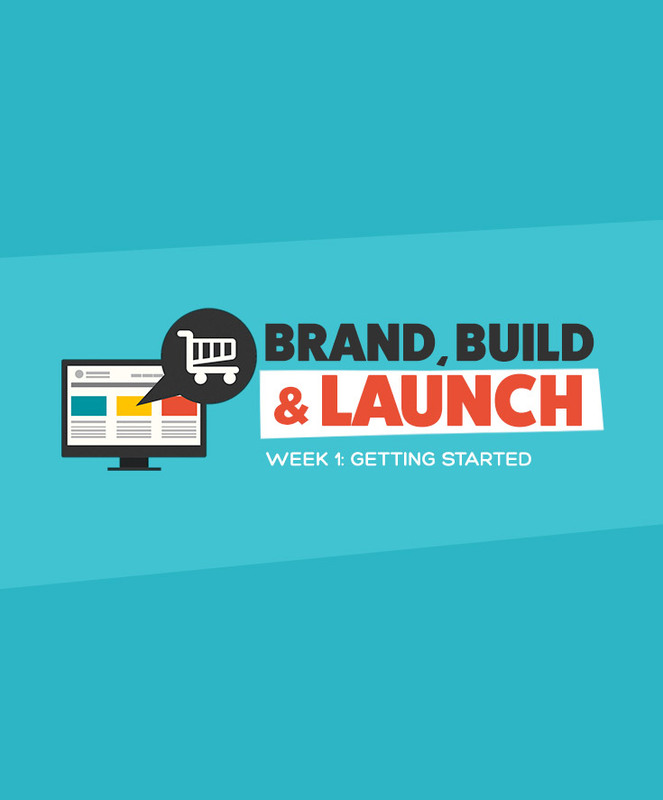 Self-starters who want tools to build a brand online and grow a tribe of passionate buyers. Shop owners who have trouble marketing, but have a great idea. People who are willing to work hard to see results. Who is this challenge is NOT for? Anyone selling digital products. Of course, some of the content learned can be used for digital product sales, but that will not be my primary focus. People who are not technically inclined and need hand holding to navigate internet based applications (Gmail, Instagram, Facebook, Twitter, etc.). Internet marketers who are more interested in making sales, than building a community. People who are looking for a get-rich-quick scheme. … all in 6 weeks. A long term goal is that if this venture is successful, we’ll move the printing, packing, shipping, and processing in-house to cut costs and increase profit. Day one I sold nothing. But I wasn’t disappointed. I was waiting for Friday (payday). On Friday, May 30, 2014, I sent an email to 83 people who had subscribed to my MailChimp list. A person on my email list bought two shirts. Day two I sold $64 in product. I was excited and scared at the same time. This was really happening. They just gave me money. They liked it and bought it. These were literally my thoughts. At the time I had about 600-800 Instagram followers, from posting and engaging other pages. I had approx. 1,500 Facebook followers from running $5 “Like” ads. My Twitter followers were non-existent. I posted on all of my pages that I was having a grand opening sale, but you could ONLY get the code if you signed up for the newsletter. I felt that was pretty crafty and I patted myself on the back. I sent another newsletter. On day three I sold exactly one shirt for $34 (plus shipping). What was I going to do next? While building, I made a list of people I wanted to send product to while I was preparing for the launch. Now was a great time to contact them, since clearly, I was B-A-L-L-I-N-G! One of the first people I contacted was Claire from Fashion Bomb Daily. I sent her a simple email telling her about my shop. I didn’t ask her for anything. My only goal was to send her free product. If I was lucky she’d post it on her blog. But I wasn’t getting my hopes up. I sent that email Sunday, June 1, 2014. Little did I know, Claire loved my site. She posted about it on her Instagram page with hundreds of thousands of followers that same day. On day four I sold $648 in product. Then she wrote a blog post one day later about my shop. I was in shock. How in the hell was I going to fill all these orders? On day five I sold $1,422. Everything took off from there. I continued to market, post images, send email newsletters and submit pitch letters to every fashion editor I could find. One month later I sold a little over $9,000 in products. This didn’t happen by accident. I’m not lucky. I worked hard for 6 weeks before the day of my big launch prepping and growing an audience that would buy my products. There is no big secret. No magical fairy sales dust. Just me, my computer, and the determination of a person with no other options with bills to pay. 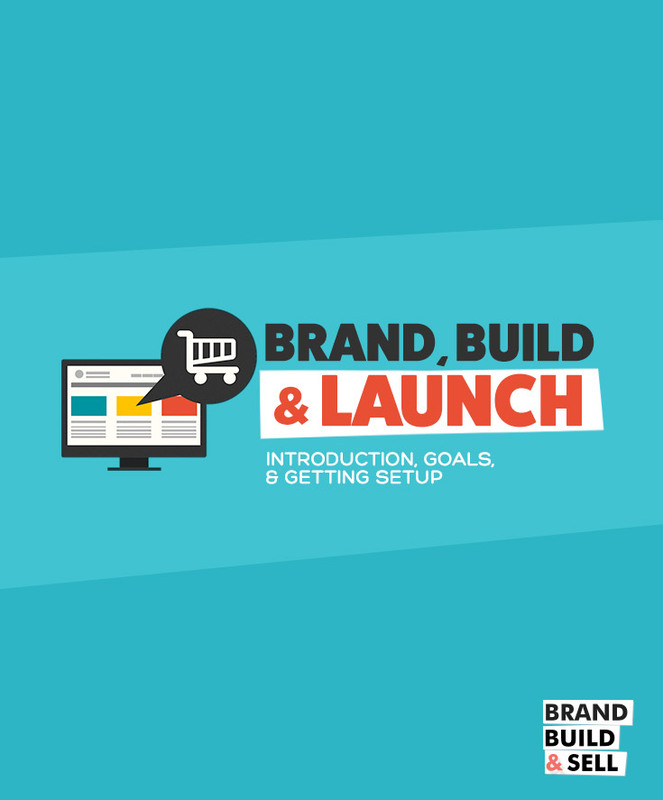 The Brand, Build & Launch Challenge will show you what I did, so you can apply those same concepts to your own online shop. Currently I have nothing setup, however, I do have a domain purchased. In my first post, I’ll go into detail. But here are a few things to make sure you’ve done before we start. Check NameCheckr to make sure your domain and social media pages aren’t taken for the domain you want to buy. Next, do a quick Google search to see if anyone else is using that brand name or something similar. It’s also a good idea to conduct a search on the USPTO website for any similar trademarks and/or contact a trademark attorney. Purchase a domain. I suggest Namecheap. They offer private registrations and have a nice iPhone app to manage your account on the go. Claim all associated social media pages. I typically create a Facebook page, then setup Instagram and Twitter. If the niche is for fashion I’ll also setup Polyvore and Pinterest. Open a Shopify store. Start with the free trial. Set up a shop on The Printful. They will be our fulfillment company for products. None of the above services need to be configured immediately. Simply having created the accounts and purchased a domain is enough to begin. PS. I’ll be launching a private Facebook group for everyone following this challenge. It will be a way I can answer specific questions about each step and provide additional feedback. Sign up for the newsletter to be notified of updates.